View basket “FLORIDA White 3Ft Single Bed With 3 Drawers & Under bed .” has been added to your basket. Transform your bedroom with a beautiful new Bed & Mattress from SC furniture ltd. Whether you’re looking for a Mattress to help your healthy back-care regime or you’re simply looking for a comfy mattress that packs a lot of luxury into a small price then SC Furniture is for you. The springs are nested under the sumptuous upholstery of silk, wool and cashmere and sumptuous fiber with a knitted fabric for those people who prefer traditional luxury. The Waterproof is a best seller for us and is ideal for those who prefer the higher quality Mattress. Our Breathable Waterproof Mattresses solves a common problem of bed wetting or incontinence problems can affect anyone from young children to the elderly. 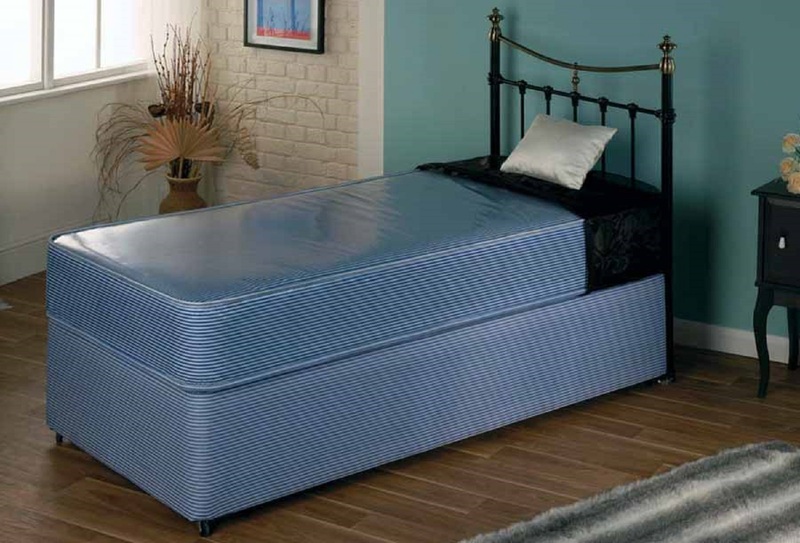 With our mattress suppliers, we have developed a superb range of waterproof mattresses. They are breathable and silent to sleep on unlike plastic mattress protectors or waterproof covers. Delivery on this item is from £45 and will be added upon checkout. England and wales only, Scotland customers please contact us for a price. Size: Kingsize 5ft x 6ft 6"
Turn your mattress on a regular basis. Spray with Anti-bacterial spray. POPPY 3Ft Single Antique Pine Low Foot End Bed. RAVELLO 4ft 6 Double Brown Faux Leather Storage Bed.